In all these years S.A.B. 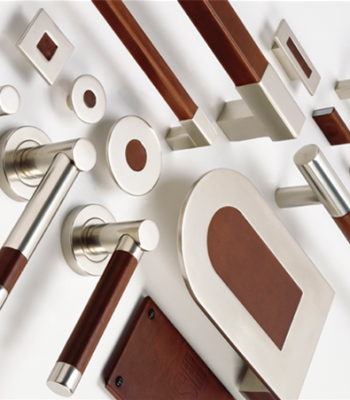 Locks has developed a wide range of products: cylinder mortise locks for wooden doors, locks hook for sliding doors, gear locks and multipoint locks with double bitted, double bitted locks for gates and grates, locks for armored doors , security cylinders and related accessories for protection. The fusion of decorative and aesthetic sought not typical of the lock, such as different finishes (more than 15 different colors) with materials “precious” as brass and a mechanical functional and reliable over time, make the locks SAB products suitable for demanding customers. 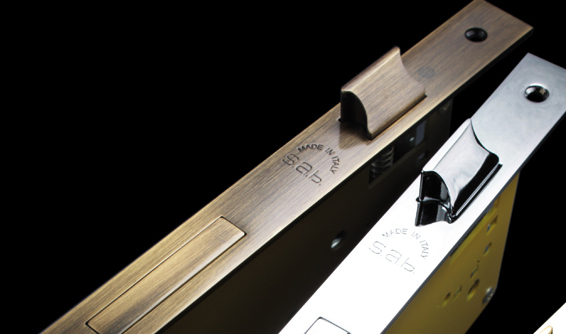 Categories: BRANDS, Door Accessories, Ironmongery, SAB Serrature, TYPE OF PRODUCT. 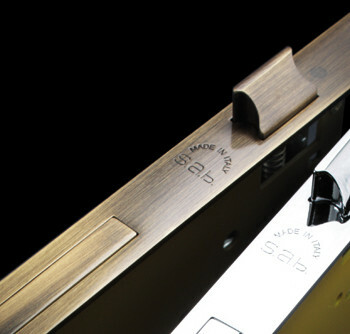 SAB Locks is now a certainty for those who want to complete their living and working spaces with high quality locks and cutting edge design.